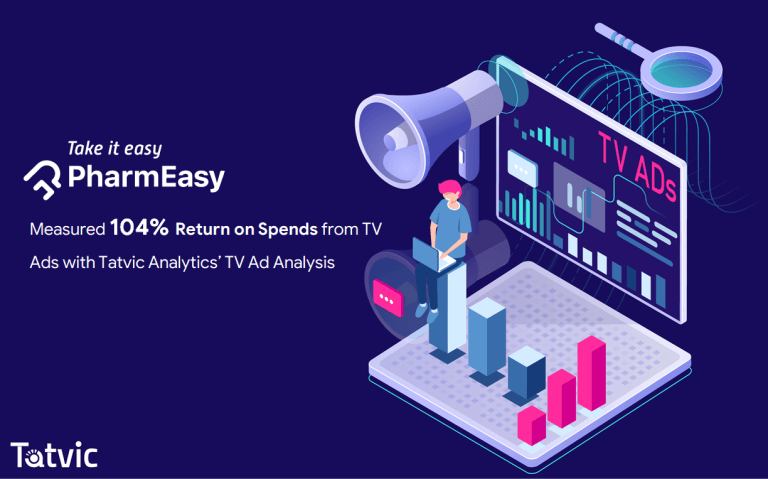 Download this case study to understand how Tatvic Analytics data science team used Google Analytics & Google Cloud to help PharmEasy achieve an accurate measurement of the return on their Ad Spends for TV Ads that boosted their website visits & app installs. 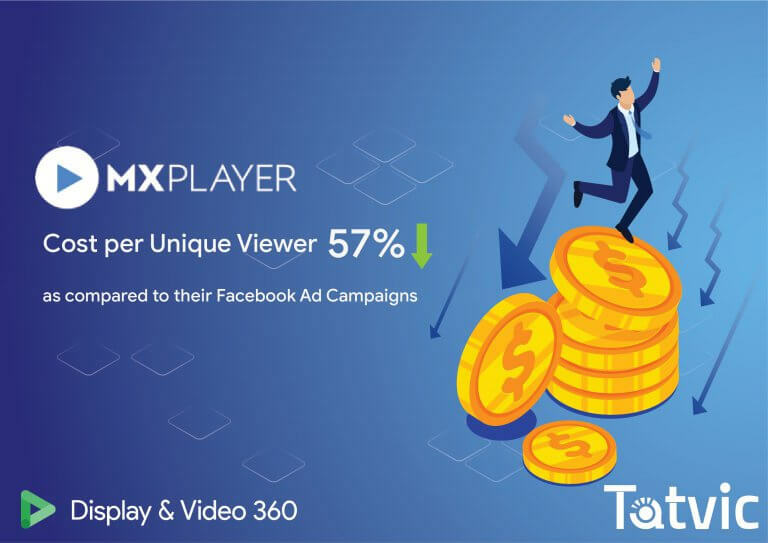 MX Player is a one shop stop for all things entertainment. They have the best in class offline video playing capabilities, audio music and a large repository of online video streaming. 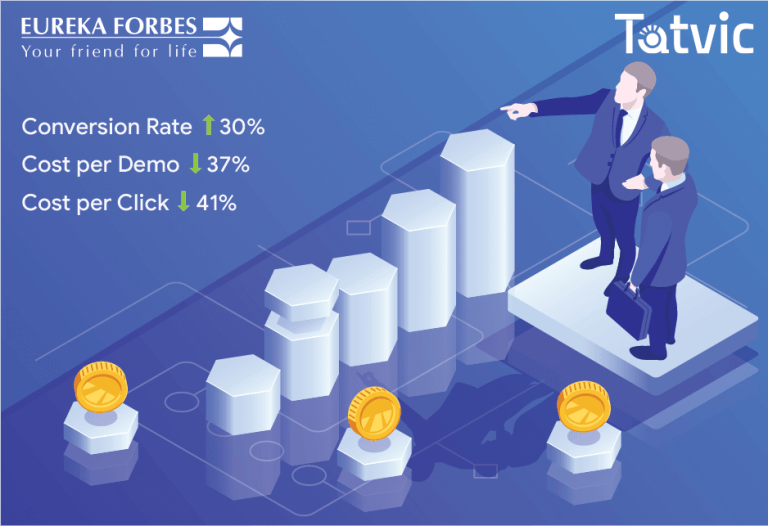 This case study takes you how Tatvic was able to help them overcome those challenges and also helped them achieve a 57% lower Cost per Unique Viewer, a 100% improvement in Conversion Rate and a 20% decrease Cost per Click. 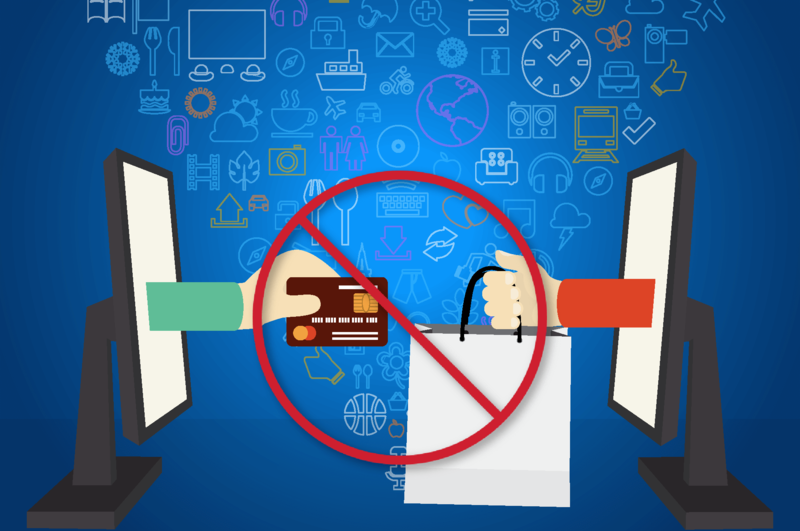 Read this case study of how an Indian fashion e-commerce giant with over 3 million monthly active users and an average monthly revenue of Rs. 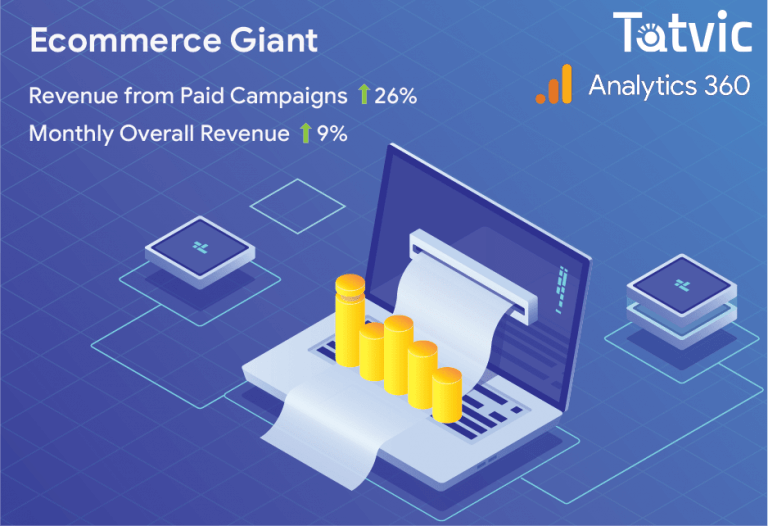 1.4 Billion, increased their revenue by 26% by investing well with the help of insights by using Data Driven Attribution feature of Google Analytics 360. Eureka Forbes Limited is India’s leading health and hygiene brand. It is a multi-product, multi-channel organization with Aquaguard being the flagship water purifier brand. 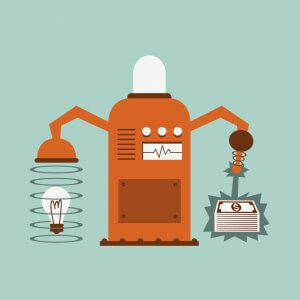 Read this case study to know how we helped Eureka Forbes Limited to increase their conversion rate by 30% while decreasing their CPC by 41%. How Improved “Quote Retrieval” Feature, Contributing to a 12% Increase in Policy Purchases made, by Implementing Tatvic’s Heatmap and User Journey Analysis Through Google Analytics 360. AegonLife, a digital life insurance firm in India, is a joint venture between Aegon N.V and Bennett Coleman & Co. LTD. They bring 170+ years of experience from each of their parent companies and aim to become the most recommended, new age life insurance firm in India. 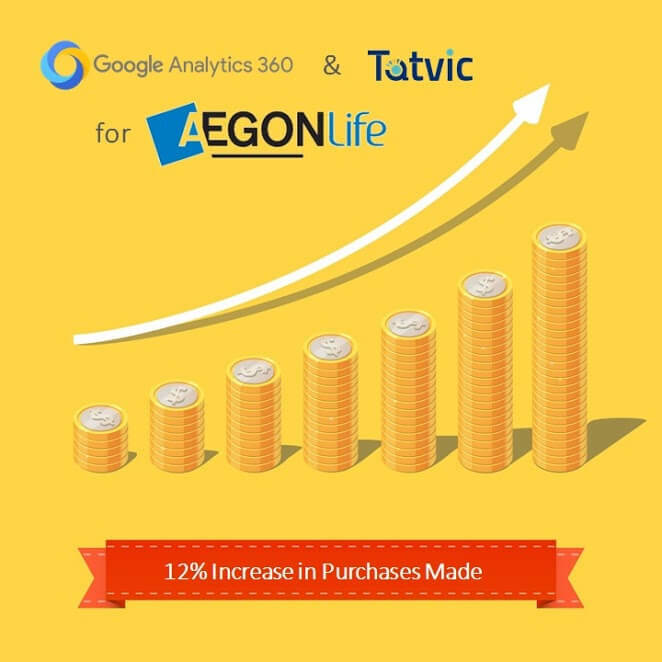 One of the major challenges that AegonLife was facing was that of identifying and leveraging sections of the website that contribute the most to leads and transactions to further improve lead generation & purchases of policies that were made. The client is India’s B2C frontrunner in the fashion and apparel domain. 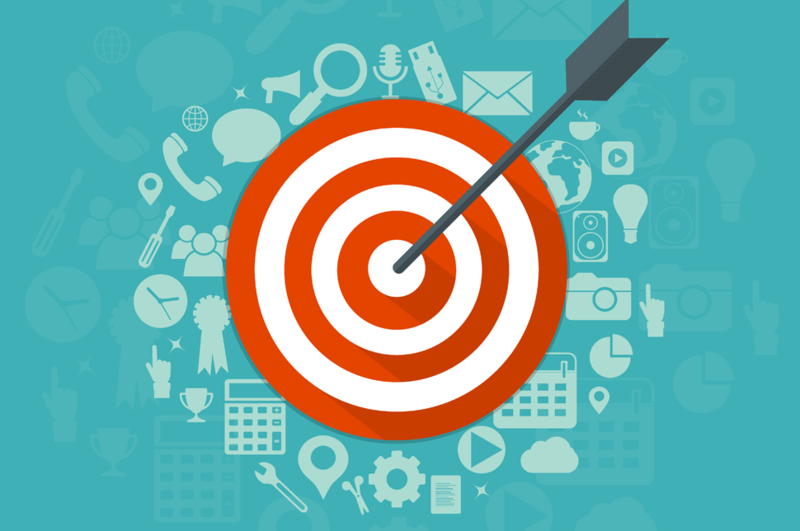 They have a huge customer base and like every eCommerce giant, they also run multiple marketing campaigns at any given point in time. Since their spend on these campaigns is so big, one of their pain points is achieving a higher ROI from better performances of the campaigns. This case study explains how Mid-day, a subsidiary of Jagran Prakashan Ltd – one of India’s leading media and communications group along with Tatvic’s Heat Map increased their promotional banner’s clickthrough rate by 200%. The challenge was to identify the right spot for effective banner placement that attracts more attention. Read this case study to know how the ticketing giant BookMyShow along with Tatvic, ensured accurate collection of required data and with comprehensive tracking implementation, unlocked insights into user behavior.Owing to the implementation of custom funnel, we able to successfully depict the stage during a booking process at which the users are majorly dropping off. MagicBricks wanted to measure the unexpected user behaviour on their app and website. They had wanted to measure the increase in traffic due to campaigns & understand live portal performance status. Along with this, their goals were to reduce server down-time in case of unplanned outages and also to develop an alert mechanism in terms of email/SMS. Cars24 is a lead generation portal for reselling used cars for which they provide one of the largest platforms in India. The purpose of their website is to make it convenient for customers to book appointments with them online. 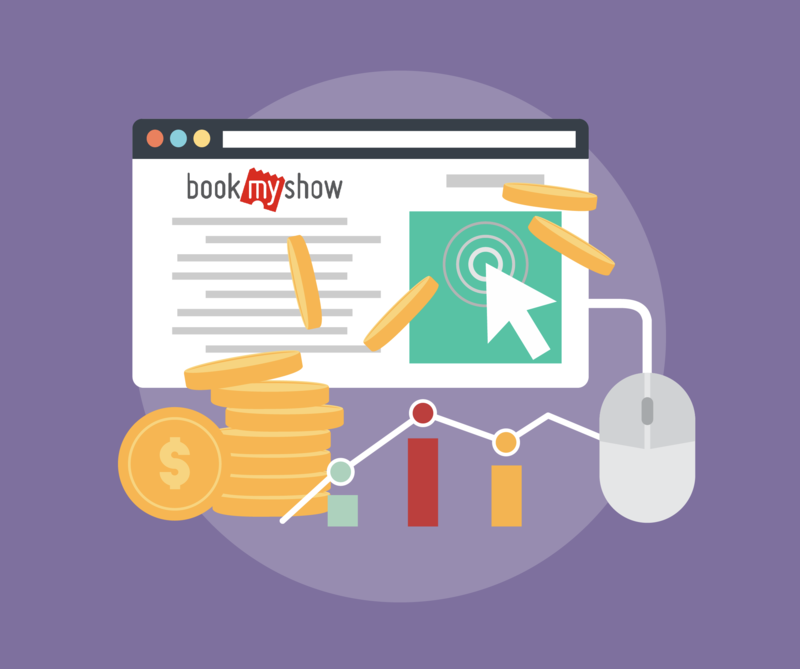 BookMyshow drives 10 million ticket sales per month across multiple categories such as Movies, Events, Concerts, Plays and sports. Read this case study to understand how Tatvic helped them gather accurate data for analysis and in a standardized format. We also developed an automatic mechanism which has all the features to monitor the tracking implementation status. 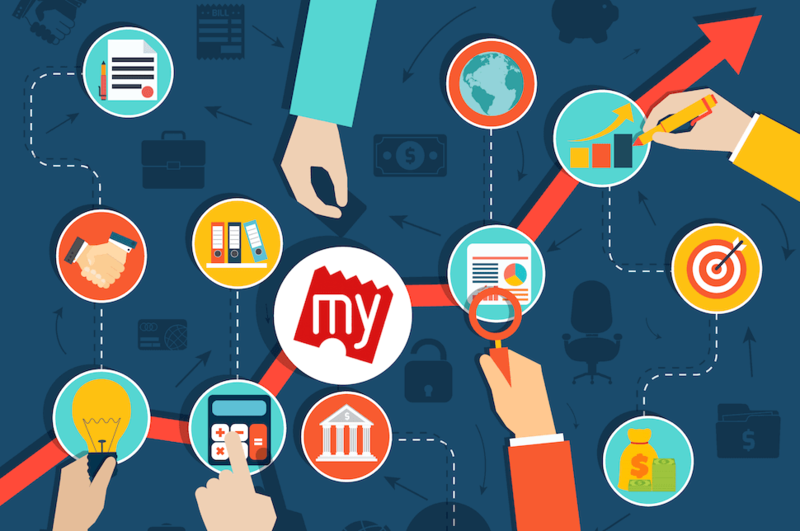 Through this data analytics project, along with their data accuracy, we were also able to increase BookMyShow’s efficiency of implementation by 70%. Sulekha’s business model is to provide a platform to the users looking for services in 200+ different categories (including home/office services, coaching/training, lifestyle & property/rentals, etc.) and to businesses which offer these services to the end users. Apart from India, where Sulekha is a strong leader in services, it also operates in USA, Canada, UK and UAE markets to serve Non-resident Indians. 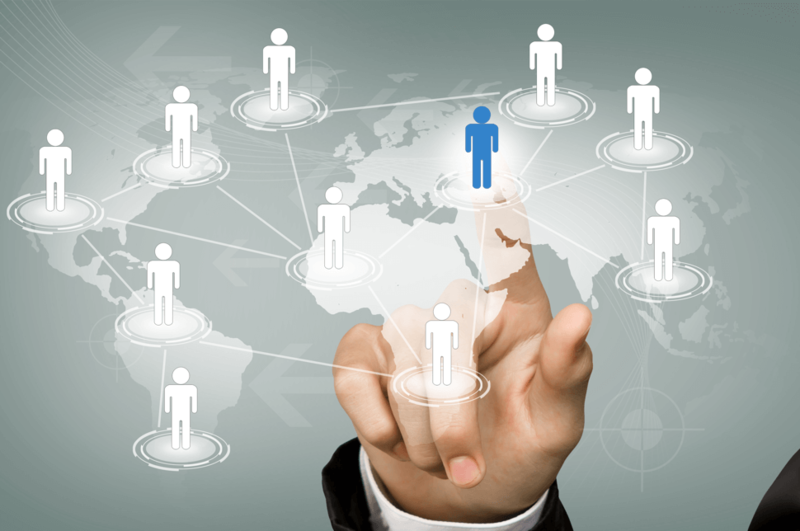 Paychex is a recognized leader in the payroll, human resource, and benefits outsourcing industry. 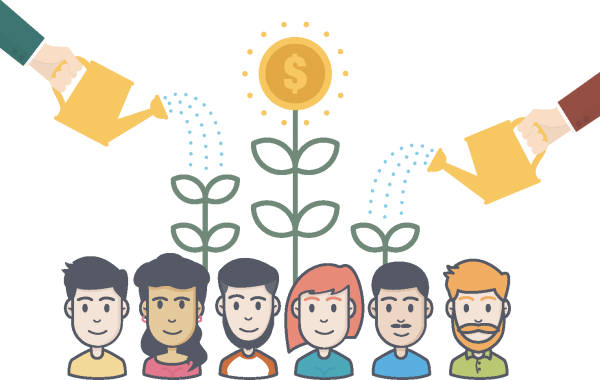 It was founded with the vision to make payroll outsourcing easy and affordable for small businesses. Paychex now operates in 100+ locations across the USA. 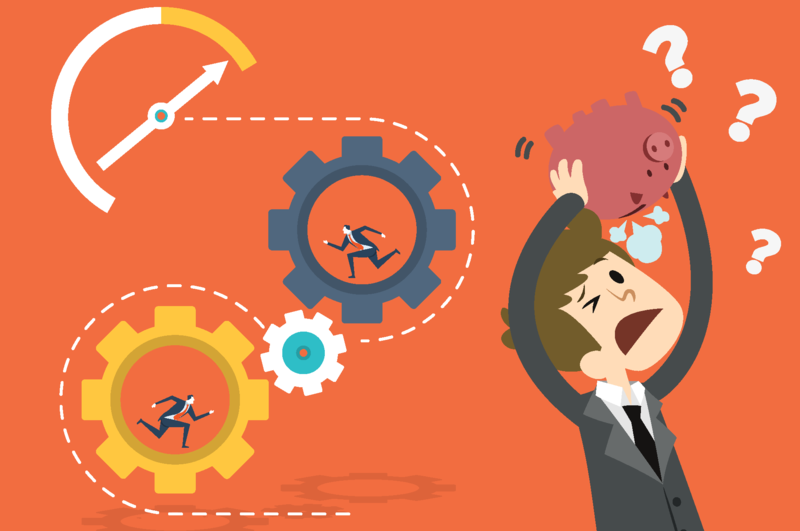 Our client wanted to improve their conversion rate. We carried our A/B test on their cart page which had high exit rate. The end result was a 22% increase in their transactions. Our Client wanted a solution that would allow them the luxury of good margin without affecting the sales volume. 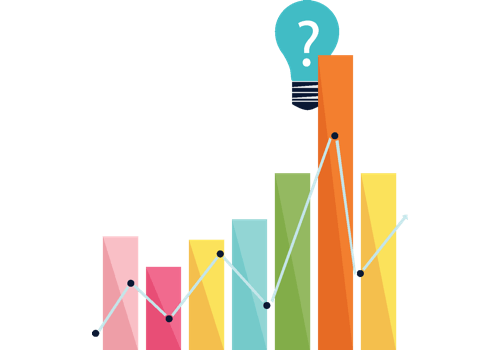 We carried out Price AB Testing Using Liftsuggest Price Discovery Engine and the end result was an increase in profit margin for two products.